If you missed our blog post on Halloween Character DiSC personality styles, head over right now to read it! 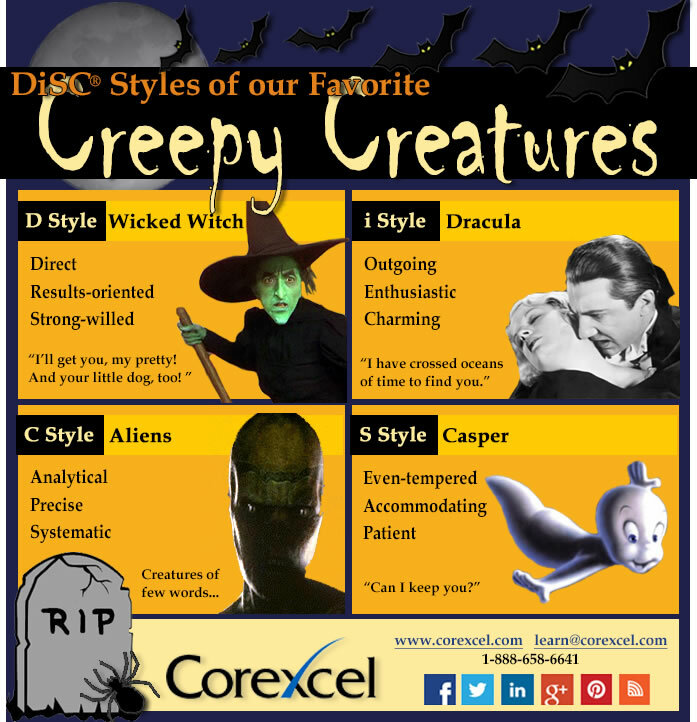 And for even more spooky DiSC fun, share the below infographic with your upcoming training programs! Don’t Miss Out on Other DiSC Activities & Graphics!